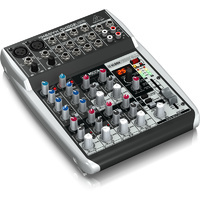 The compact QX1202USB mixer allows you to effortlessly achieve premium- quality sound, thanks to its 2 onboard studio-grade XENYX Mic Preamps and ultra-musical “British” channel EQs. And our easy-to-use “one-knob” compressors provide total dynamic control for the ultimate in punch and clarity, while respecting all the power and emotion you pack into every note. 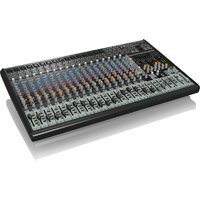 Add to this, the sweet forgiveness of our British-style EQs and a KLARK TEKNIK 24-Bit Multi-FX Processor with 100 presets including reverb, chorus, flanger, delay, pitch shifter and various multi-effects – and the QX1202USB becomes an incredibly versatile mixer for your live performances. 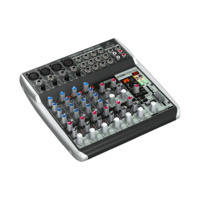 But XENYX QX1202USB isn’t just designed to handle your live gigs; they also provide the state-of-the-art tools you need to make stunning, professional-quality recordings. 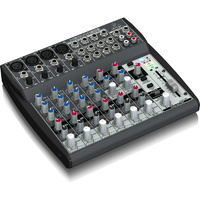 Along with their built-in USB/audio interfaces, these mixers come with all the recording and editing software needed to turn your computer system into a complete, high-performance home recording studio. 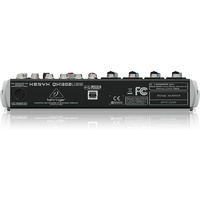 The XENYX QX1202USB gets its name from our legendary, high headroom XENYX mic preamps, which have been praised by audio engineers all over the world. 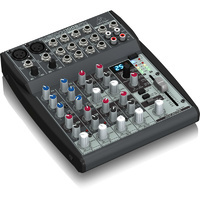 These state-of- the-art mic pres represent a major step in the evolution of audio technology – and they can easily hold their own, even when compared to the most expensive stand-alone mic preamps. 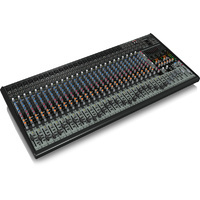 XENYX preamps offer a staggering 130 dB of dynamic range, with a bandwidth that extends from below 10 Hz to well above 200 kHz. 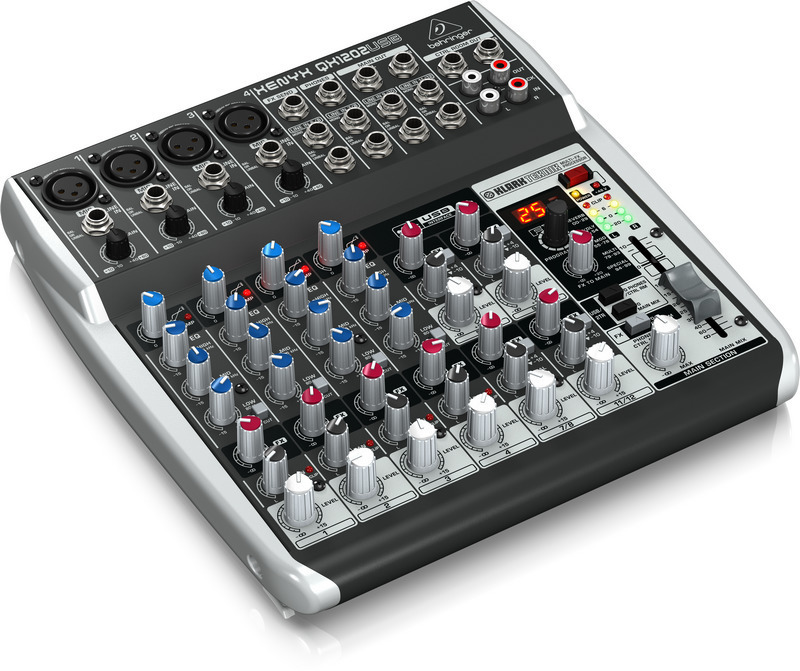 Armed with these outstanding mic preamps, the XENYX QX1202USB provides such transparent, crystal-clear performance you just might think someone upgraded your mics while you weren’t looking. 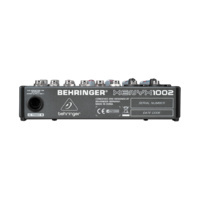 Because you’ll want to take full advantage of the XENYX QX1202USB’s recording and podcasting potential, we’ve included all the software you’ll need for audio recording, editing and even podcasting – all free of charge and downloadable from behringer.com. 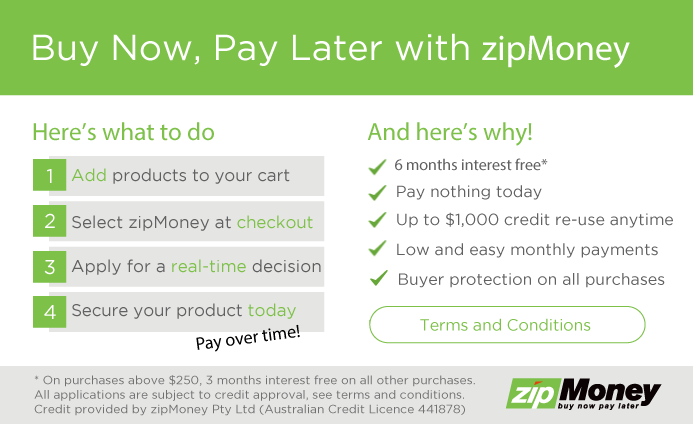 You’ll be ready to go live on your PC or Mac right out of the box! We’ve also provided a free download of more than 150 virtual instruments and FX plug-ins – turning your computer into a powerful home-based or mobile recording studio from input to output. 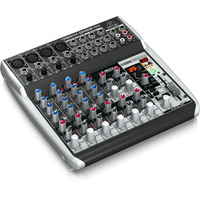 No matter what your audio mixing needs, the QX1202USB provides the performance and features that can take your talent to the next level, at a price that is sure to amaze you. 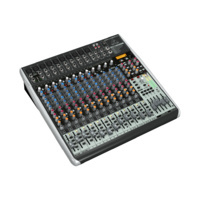 Professional sound quality, our legendary XENYX mic preamps and easy-to-use “one-knob” compressors, British EQs, 24-Bit KLARK TEKNIK Multi-FX Processor and built-in USB connectivity make the QX1202USB ideal for both your live gigs and recording. Try one on today – we have one available in your size!